A San Diego firefighter was hospitalized but expected to be released Friday morning after being shocked by an electrified fence while battling a blaze in Barrio Logan, authorities said. 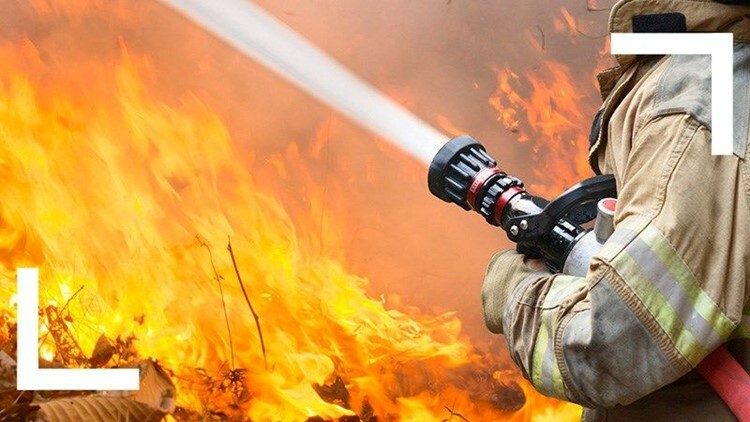 SAN DIEGO (CNS) - A firefighter was recovering Friday from injuries he suffered when he came into contact with an electrified fence while battling a late-night blaze in Barrio Logan. The fire erupted for unknown reasons about 10 p.m. Thursday at an abandoned building on National Avenue, near 27th Street, San Diego Fire-Rescue Department spokeswoman Monica Munoz said. Nobody was inside the structure at the time, she said. While working at the site of the blaze, an SDFRD crew member touched a chain-link fence at the back of the property that had become electrified due to its close proximity to a power box, Munoz said. Medics took the victim, whose name was not released, to a hospital for treatment of electric shock-related injuries of undisclosed severity. He was released from medical care this morning, the spokeswoman said. Investigators were unable to determine what sparked the fire, which caused an estimated $75,000 worth of damage to the structure and destroyed about $5,000 worth of contents.